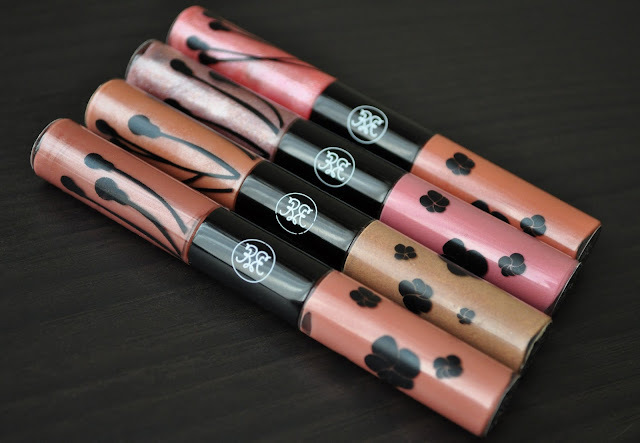 Last month, I really enjoyed an old favorite, Rouge Bunny Rouge's Decadent duos. 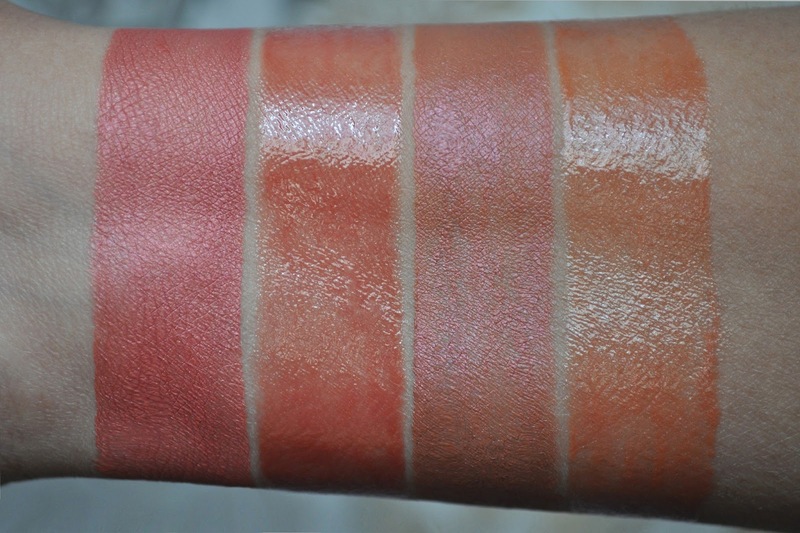 This lovely 2-in-1 product offers a liquid blush with a brush applicator on one end, and a lip gloss with a doe-foot applicator on the other. From left to right: Cubana/Rumba, Duende/Flamenco. The liquid blush blends superbly, giving the cheeks a beautiful luminescent flush. Also, the blush performs well as a lipstick. 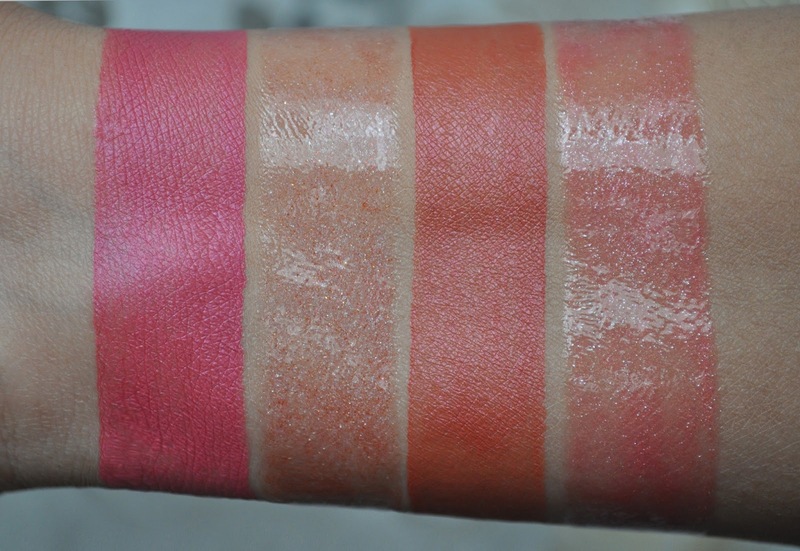 The lip gloss is moisturizing, with a non-sticky texture, while providing a sheer hint of color. From left to right: Enredo/Samba, Argentino/Tango. Sadly, Rouge Bunny Rouge has discontinued the Decadent Duos. However, they are still available on the website. If you love liquid blush, lipgloss, multitasking products, or Rouge Bunny Rouge, I highly recommend picking up these duos before they've gone the way of the dido.